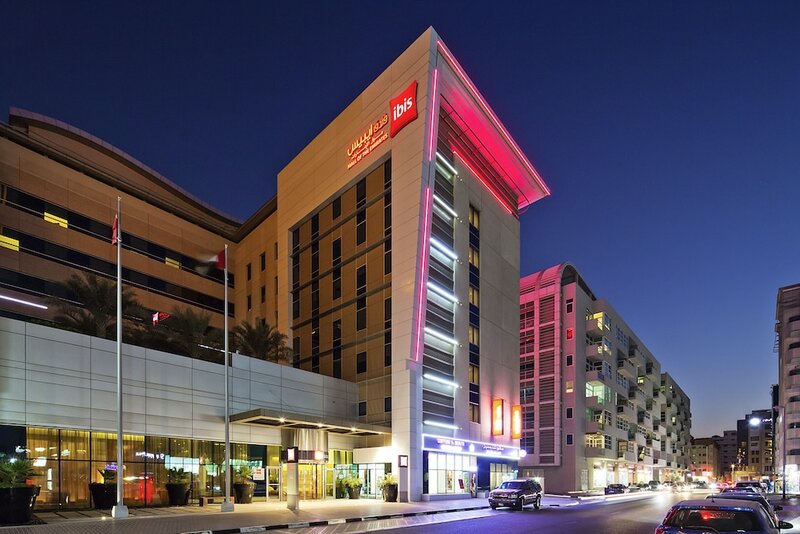 Located in Dubai (Al Barsha), ibis Dubai Mall of the Emirates Hotel is within a 10-minute walk of Ski Dubai and Mall of the Emirates. This hotel is 4.7 mi (7.6 km) from Umm Suqeim Beach. Make yourself at home in one of the 204 individually furnished guestrooms, featuring refrigerators and LCD televisions. Complimentary wired and wireless Internet access keeps you connected, and satellite programming provides entertainment. Private bathrooms with showers feature complimentary toiletries and hair dryers. Conveniences include phones, as well as desks and coffee/tea makers. Enjoy Italian cuisine at AMICI ITALIAN RESTAURANT, one of the hotel's 2 restaurants, or stay in and take advantage of the 24-hour room service. Snacks are also available at the coffee shop/café. Quench your thirst with your favorite drink at the bar/lounge. Buffet breakfasts are available daily from 6:30 AM to 10:30 AM for a fee. Featured amenities include complimentary wired Internet access, a computer station, and complimentary newspapers in the lobby. A roundtrip airport shuttle is provided for a surcharge (available 24 hours), and free self parking is available onsite.